Nothing feels more like supper at Grandma’s house than Strawberry Shortcake! 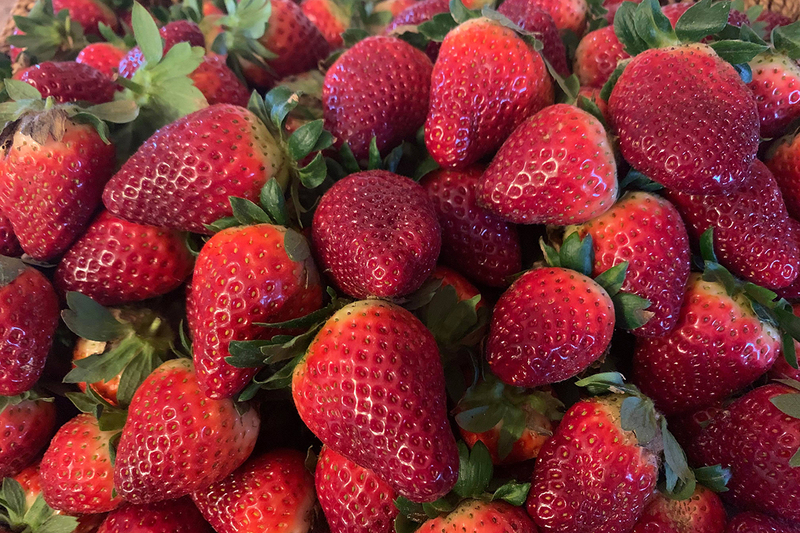 Make it even tastier by using sweet, farm-grown strawberries from CM Farms! Preheat oven to 400 degrees. While oven is preheating, combine strawberries with sugar and vanilla and mash ‘em up a little. Let them sit for about 30 minutes, stirring occasionally. Get started on the shortcake by whisking together flour, 4 tbsp of sugar, baking powder, baking soda, and salt. Cut in the butter until you get a crumbly texture. Add buttermilk and stir until just combined. Drop batter by ⅓ cupfuls about 2 inches apart onto an ungreased baking sheet. Brush with 2 tbsp heavy cream and sprinkle with remaining 1 tbsp sugar. Bake 18-20 minutes until golden. Cool completely on wire racks. To make the topping, beat heavy whipping cream until it starts to thicken. Whisk in the sugar and vanilla and beat until you get soft peaks. Cut the biscuits in half, top ‘em with strawberries and whipped cream, and serve ‘em up! Visit our Pinterest page for more mouthwatering recipes! Next post: Get a Deal!